When will my car be ready at Toyota of Orlando? Getting your vehicle repaired after an auto accident can be extremely stressful and chaotic. 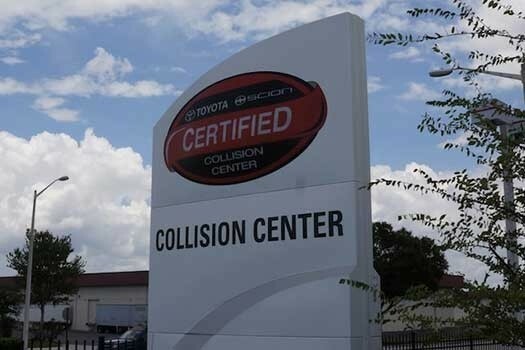 Toyota of Orlando wants to make your experience as efficient and enjoyable as possible, so our Toyota Collision Center in Central Florida is here to provide you with answers to the questions you most commonly ask! In order to give your vehicle the quality Orlando auto repairs and enhancements it deserves in a reasonable time period, our auto body shop follows a process that we’ve developed to make the most of your time. After all, being without a car is a serious impediment to your everyday life! We’ve outlined the process that we use at ar Collision Center right here for your convenience. 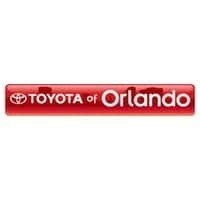 What happens when my car is repaired at the Orlando Toyota body shop? First, an estimate is prepared by our highly trained estimator. They’ll document the damage to your car after a full inspection in order to prepare this estimate, even if your insurance company has already provided you with a preliminary one. We can’t start working on your vehicle until you sign off that it’s all right. We’ll need your signature on a repair authorization, and we may need another signature in advance in case we discover any other damage when we’re working on the repair. We also need the approval of your insurance company for the estimate before we can begin work. Once we’ve received approval from both you and your insurance company, we can begin repairs. Next, we locate and order the parts needed. Once we’ve gotten all the parts at our Toyota of Orlando body shop, we’ll schedule your repair. If your car isn’t already here, we’ll contact you for a convenient time for you to drop it off. Once we’ve scheduled your repair, we can give you an estimate as to when your vehicle should be finished and when you can pick it up. However, this date may change if we find additional damage once the repair is underway! When the repair begins, we’ll remove the outer panels of your vehicle to uncover the physical structure of the car. This is where we may find additional damage. Sometimes this damage can’t be diagnosed at the initial consultation, which is why it’s important for us to take this step. If we find more damage, we’ll provide a supplementary report documenting it. The insurance company will have to approve that as well, and then we’ll repeat steps two, three, and four in order to ensure we have the parts needed to carry out the proper repairs! We will, of course, update you and keep you informed as to what’s going on with any supplemental damage. Next, we get your car back to road-ready condition. Did you know your car was designed and assembled according to very strict structural standards? This means we’ll take the proper steps to measure your car against published factory specifications and return it to within the prescribed limits provided by the manufacturer. This is essential to maintaining how your car both looks and operates! After we’ve completed that step, we’ll work on any structural and body repairs, followed by cosmetic repairs and replacing the car’s panels. This is the part where we make sure that your vehicle is in tip-top shape. You want your repairs to last, so here we’ll apply corrosion protection to all newly-repaired areas on your car – and it’ll conform to the manufacturer’s original standards! Exterior finishesNext, we’ll begin testing all of your systems for proper functioning and check the quality of the auto repairs. For example, we may check your safety systems to ensure they’re working properly. Then it’s time for the cosmetic aspect of the repair. We’ll begin the refinishing process by applying a primer, a surface filler, and then using block sanding to prepare the surface for paint. We’ll mask your vehicle to avoid over spraying while painting, and then put your car in a paint booth, where the car paint job is carried out. During the repair process, your car may be exposed to outside contaminants. In this step, we’ll chemically clean and tack your vehicle to ensure all of them are removed, as well as any dust. We next undergo a multi-step refinishing process to get your car into a like-new state. We’ll conform to the original manufacturer’s specifications, and back our paint job with a Limited Lifetime Paint Performance Guarantee. Finally, we’ll reattach any exterior components (like mirrors, moldings, etc.) and then perform any other services your car needs, such as alignments. After we clean your car, we’ll test drive it and do a quality inspection before finally returning it to you! Bring your car to our Toyota auto repair shop in Central Florida! It’s in good hands with us and we’re determined to give you excellent and affordable service! You can give us a call with questions at (407) 298-0001, or come visit us in person – we’re located at 3575 Vineland Road in Orlando!